Hypergive is the 2017 Year of Giving award at the World Government Summit in Dubai, a conference dedicated to giving entrepreneurs and policymakers an opportunity to discuss ways to shape future governments based on developments in tech and innovation. 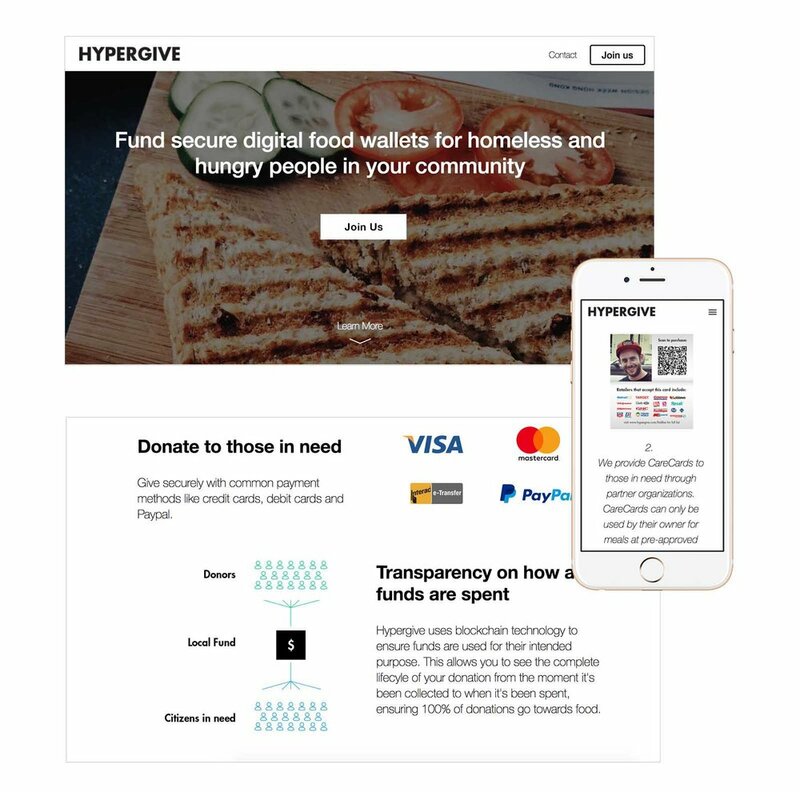 Hypergive uses blockchain to let people make secure donations to Hypergive’s partner organizations, which store donated funds on a unique card that is distributed to individuals in need. The technology ensures that funds are spent on food, and it allows for daily spending limits, deactivation, and value recovery if it’s lost or stolen. — Jesse Rodgers, CEO of Volta Labs.